I don't seem to be able to find the keyboard shortcut for moving from the left hand side of the Run Window (where the tests are displayed), the the right hand side of the window (ie the Output pane), so that I can scroll through the output easily. Would someone be able to point me in the right direction please. Thanks for the reply. Pressing tab doesn't cycle for me, in fact, it appears to do nothing when the focus is on the Run window and my test is highlighed. My colleage sees the same behaviour. What effect does it have for you and does that need to be enabled somehow? To avoid any misunderstanding, I've attached a screenshot. Simply trying to get from the LHS to the RHS. Thanks. Sorry, I misunderstood you initially (though you were talking about run configurations dialog). 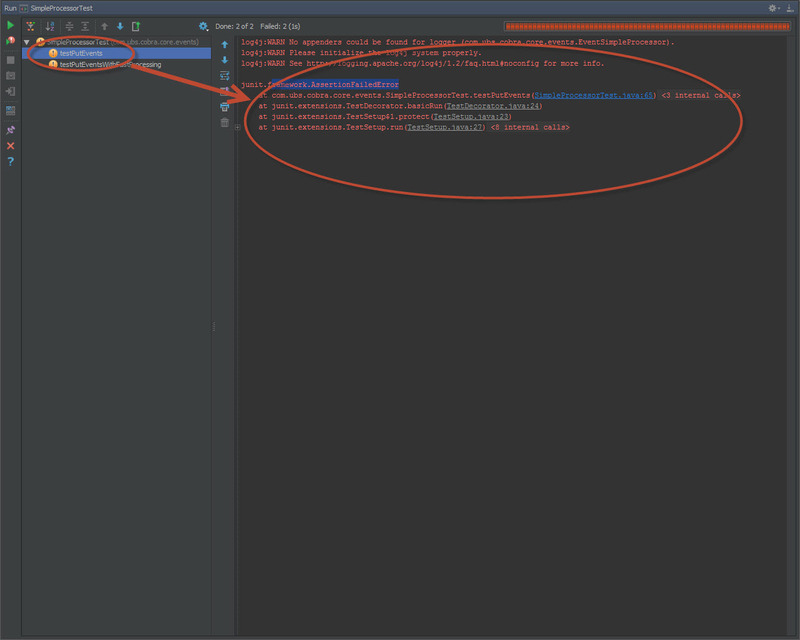 Confirm that there are no navigation actions between the tests tree and output. Created corresponding ticket - IDEA-106850.